Rupangi completed her B.Sc. and M.Sc. in Microbiology from Pune University. Currently, sheis working on the identification and validation of various drug targets of Mycobacterium tuberculosis. Priyanka did B.Sc in Microbiology from University of Delhi, India and completed her M.Sc in Biotechnology from Punjab Technical University, Jalandhar, India. Her Ph.D work is based on the evaluation of DNA vaccines as an adjunct to chemotharapy against Tuberculosis. Prachi did B.Sc and M.Sc in Biochemistry from the University of Delhi, India. She is working on the development of vaccines against Tuberculosis. Ritika did B.Sc and M.Sc in Biochemistry from University Of Delhi, India. Her work is based on the development of vaccines against Mycobacterium tuberculosis. She did her B.Sc and M.Sc in Biotechnology from Banasthali Vidhyapith, Rajasthan. Her Ph.D work is based on the evaluation and development of vaccines against Tuberculosis. Swati did her B.Sc and M.Sc in Biochemistry from University Of Delhi. Currently she is working on Identification and characterization of novel drug targets and inhibitory molecules against Mycobacterium tuberculosis. Mehak did her B.Sc and is pursuing M.Sc in Biochemistry from University Of Delhi. At present, she is working on the development of TB vaccine by using recombinant MVA overexpressing the antigen alpha crystalin. Rajni completed her B.Sc and is doing M.Sc in Biochemistry from University Of Delhi. Her work is based on characterization of recombinant BCG vaccine. Priti did her B.Sc in Microbiology from University of Delhi. She did M.Sc in Biotechnology from Punjab Technical University. She has been working since 5 years on techniques related to Biotechnology. Tannu did B.Sc in Botany from the University of Delhi, India. She is doing M.Sc in Biotechnology from Punjab Technical University, Jalandhar. David’s work was based on regulation and functions of polyamines in Mycobacteria. He completed his Ph.D in April, 1988. Currently he is a Scientific Review Officer at NIH. Sangeeta’s work was based on the organization and characterization of tRNA coding genes of Mycobacteria. She completed her Ph.D in March, 1991. Neelam worked on the role of polyamines in transcription In Mycobacteria. She completed her Ph.D in March, 1991. Currently she is working as a Scientist in the department of Plant Molecular Biology, UDSC. Sandeep’s area of interest was identification and characterization of restriction endonucleases from Mycobacteria. He completed his Ph.D in November, 1992. Currently he is working as Executive Director - Hope for Humanity at Littleton, Colorado, USA. Seema studied the mechanisms of pathogenesis of Mycobacterium tuberculosis H37 Rv and identified the virS gene. She completed her Ph.D in October, 1993. Murali studied various promoter regions of Mycobacteria. He completed his Ph.D in December, 1995. Currently he is Chief of the oncology branch at CDFD, Hyderabad. Shruti worked on designing of shuttle vectors for genetic manipulations and molecular analysis of Mycobacteria. She completed her Ph.D in September, 1996. Currently, she is Senior Executive in a Biotechnology firm in USA. Deepak worked on analysis of mycobacterial transcriptional promoters and their use in designing expression vectors for Mycobacteria. He completed his Ph.D in July 1998. Currently he is a Professor at Tulane University, New Orleans, Louisiana, USA. Anil’s work was based on the characterization of tyrosine phosphatases and serine/threonine kinases from Mycobacterium tuberculosis. He completed his Ph.D in January, 2001. Currently he is working as a Scientific Director and Head, Respiratory Disease Team, Johnson and Johnson, Antwerp Area, Belgium. Neeraj worked on the development and evaluation of candidate recombinant BCG vaccines against Tuberculosis.He completed his Ph.D in November, 2001. Currently he is working as a Senior Scientist at Ecole Polytechnique Federale de Lausanne, Geneva, Switzerland. Vivek’s work was based on the construction of recombinant BCG strains expressing Mycobacterium tuberculosis antigens and their evaluation as more potent vaccines in animal models. He completed his Ph.D in Jan., 2002. He is currently working as a Scientist E2 at IGIB, New Delhi. Ramandeep analyzed and characterized genes associated with pathogenesis of Mycobacterium tuberculosis specifically tyrosine phosphatases. He completed his Ph.D in July, 2003. Currently he is working as Assistant Professor at THSTI, Gurgaon. Puneet‘s work was based on the role of nucleoside diphosphate kinase in the survival of Mycobacterium tuberculosis. He completed his Ph.D in November, 2003. Currently, he is working as a Senior Scientist at Ranbaxy Laboratories, Gurgaon. Amit’s studies were based on gene regulation and pathogenesis of Mycobacterium tuberculosis. He completed his Ph.D in November, 2003. Dr. Singh is currently a Scientist at ICGEB, New Delhi. Aparna worked on the development and evaluation of candidate DNA vaccines for protection against Tuberculosis. She completed her Ph.D in December, 2003 and currently working as Assistant Professor at the Institute of Home Economics, New Delhi. Sunaina worked on cloning, expression and characterization of calmodulin like Protein from Mycobacteria. She completed her Ph.D in July, 2004. She is working as Patent Attorney at Lall Lahiri & Salhotra, Gugaon. Nisheeth analyzed various components of the transcriptional machinery of Mycobacteria. He completed his Ph.D in March, 2004. Currently, he is working as Assistant Professor at THSTI, Gugaon. Azeet’s work was based on elucidation of the role of Mycobacterial serine/threonine protein kinases by using functional genomics approach. He completed his Ph.D in July, 2007. Currently he is pursuing Post Doctoral Research at Yale University, USA. Ruchi studied immunology of mycobacteria and her work was based on the development and evaluation of different prime boost vaccination strategies against Tuberculosis. She completed her Ph.D in August, 2008. 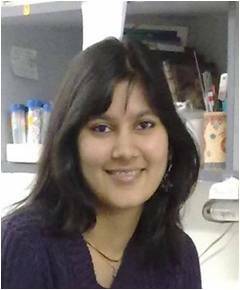 Ruchi is currently Post Doctoral Fellow at Johns Hopkins School of Medicine, Baltimore, USA. Bappaditya worked on the development and evaluation of candidate vaccines against Tuberculosis. He completed his Ph.D in June, 2009. Bappaditya is currently Post Doctoral Fellow at Johns Hopkins School of Medicine, Baltimore, USA. Vikram’s work was based on sequencing and analysis of the genome of an Immunotherapeutic Mycobacterial species (Mycobacterium indicus pranii). He completed his Ph.D in June, 2010. Vikram is pursuing Post Doctoral Research at University of Alabama, USA. Dr. Garima did M.Sc and Ph.D in Biochemistry from University of Delhi, South Campus, India. Her work is primarily focused on the identification of novel drugs against Mycobacterium tuberculosis by employing various methods. Shingar is working on the development and evaluation of DNA vaccines against Mycobacterial infections. Dr. Anju’s work was based on the role of polyamines in the synthesis of RNA in Mycobacteria. (1985). Dr. Jain is currently a Professor of Biochemistry at Lady Hardinge Medical College, New Delhi. Vaishali worked on stress induced gene expression in Mycobacteria. Priyadarshani worked on protective efficacy and immune responses of various vaccine regimens against tuberculosis in Murine model. Dr.Vineel did his M.Sc in Biochemistry from University of Madras, Tamil Nadu, India and Ph.D in Biochemistry from University Of Delhi, South Campus, India. He worked on iron metabolism genes that are essential for the growth of Mycobacterium tuberculosis and identification of crucial targets for developing new anti-TB drugs. Sujoy Das Gupta worked on the development of vectors for genetic manipulations in Mycobacteria as well as on the analysis of Mycobacterial transcriptional signals. He is a Professor at Bose Institute, Calcutta. Vibha worked on the structure determination of a number of important proteins of Mycobacterium tuberculosis. She is currently Assistant Professor at Jaypee Institute of Information Technology, Noida. Dr. Rakesh Gupta contributed towards crystallography and structural studies on Mycobacterial proteins. He is currently Associate Professor at Ram Lal Anand College, New Delhi. Praveen did his B.Sc in Biotechnology from BundelKhand University, Uttar Pradesh, India. He completed his M.Sc in Biochemistry from the University of Delhi, India. His work was focused on the identification of novel inhibitors against Mycobacterium tuberculosis.